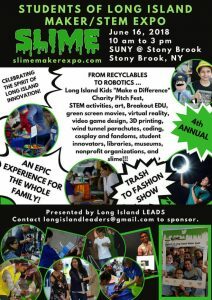 Attend the SLIME Maker/STEAM Expo - LIFun4Kids - Build it and they will learn! 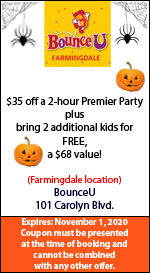 SLIME is an interactive Day of Making for all Long Islanders. Kids will participate in hands-on activities that promote imagination and creativity. 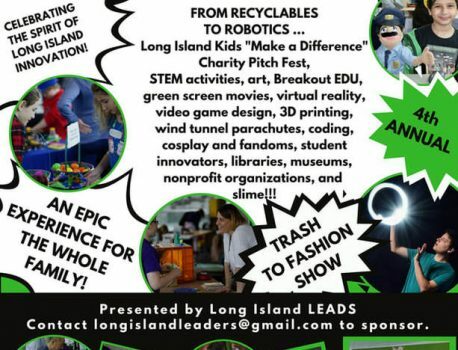 From recyclables to robotics, kids can learn about STEAM – Science, Technology, Engineering, Art, and Math. SLIME celebrates creativity and innovation. ​Let’s celebrate innovation and education!